Last year’s Night to Shine event was a huge hit, for both participants and volunteers. Remember the excitement of high school prom? Picking out the perfect dress, getting a corsage and dancing the night away with friends? 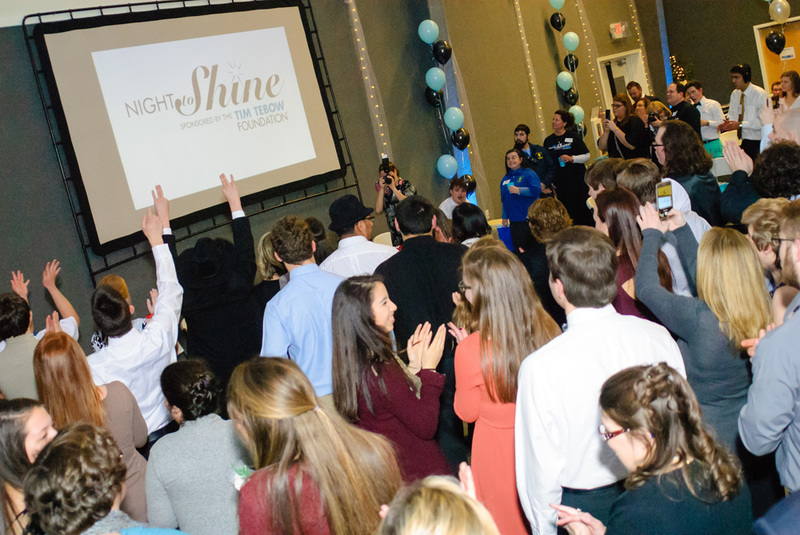 Partnering with the Tim Tebow Foundation, the Ocean View Church of Christ will be hosting its Third Annual Night to Shine on Feb. 8, for a special group of attendees. More than 650 churches worldwide will host the event on Friday, Feb. 8. Ocean View Church of Christ is one of three Delaware churches to participate. “We pretty much have maxed out the capacity of the building each year,” said Gina Warrington, a parishioner who volunteers to help with the event. Those who wish to participate must register, either by going to the Night to Shine website or calling Ocean View Church of Christ. Warrington said the church first became involved in the outreach event through former pastor Gregg Wilgus and has been continued with its current pastor, Ethan Magee. “He said, ‘Let’s try that, because with our new Life Center, we had the ability to host that many people,” she recalled, noting that the church has been behind the event ever since. On the evening on Feb. 8, prom-goers will arrive at the church, where they will be assigned a buddy who will spend the remainder of the evening with them. “We’ll have groups of six or so go out our side door, down the ramp and into a limo. They take a limo ride around the community and are dropped off at an entrance, with a red carpet, are greeted by people taking pictures and fans,” explained Warrington. “After they walk in on the red carpet, the men can get their shoes shined, the women can get their hair and makeup touched-up or put on. A large-screen television will be set up downstairs, where parents may stay throughout the evening, enjoy dinner and watch the prom activities. Five furniture companies provide furniture for the parents’ evening. Warrington said the evening requires a great deal of help from the community, needing 100 volunteers just to serve as buddies. That’s doesn’t include the support from the business community, which donates goods and services at no charge. The Ocean View Police Department also takes part in the evening, offering security for the event. McLaughlin said he was first contacted about the event three years ago, due to his department’s involvement with the local special-needs community. Warrington said watching the attendees enjoying their “night to shine” is what makes the church continue to host the event. “Probably the best way to explain it is, when they come in on that red carpet… the looks on their faces is just priceless,” she said, noting that there are videos on the event’s website that capture reactions. “There’s one of a young lady — I can’t even describe the look on her face… She looks like she just won the lottery. It means so much to them. They become the most important person in the world that night. Those who wish to support the event may do so through financial donations through the Tim Tebow Foundation website or by contacting the church directly. To learn more about Night to Shine, how to volunteer, attend or donate, visit https://www.timtebowfoundation.org/ministries/night-to-shine. The Ocean View Church of Christ is located at 55 West Avenue in Ocean View. To contact the church directly, call (302) 539-7468.